Community group Lock the Gate Alliance has today called for the NSW Government to refer mining corruption allegations from a whistleblower with the NSW Department of Planning to the Independent Commission Against Corruption. Carmel Flint from Lock the Gate Alliance said: “Reports today about alleged corruption in relation to the administration of mining in NSW need to be addressed as a matter of urgency. “These are incredibly serious allegations which severely affect community confidence in the NSW Government and their management of mining in NSW. “We’re calling for the NSW Government to immediately refer the matter to the Independent Commission Against Corruption. “If the Government does not refer this matter, we will consider referring it to the Commission ourselves. “We’d like to see the processing of mining approvals and titles in NSW suspended until this matter has been fully addressed and the allegations investigated in detail” she said. NB: was also reported in the Sydney Morning Herald - November 19, 2018. NSW Department of Planning Secretary Carolyn McNally referred the corruption allegations by sacked department whistleblower Rebecca Connor to the Independent Commission Against Corruption on November 21st. North West NSW residents already under siege from the twin threats of drought and increased coal mining have been dealt yet another blow, according to community group Lock the Gate. Lock the Gate has today slammed the NSW Planning Minister Anthony Roberts for giving the Independent Planning Commission (IPC) an absurdly short timeframe to conduct and complete its first public hearing for the proposed controversial Vickery Coal Mine expansion in the north west of the state. The Minister imposed an arbitrary 12 week deadline on the Commission before guidelines for an untested new process had even been finalised, forcing the Commission to schedule the public hearing on 7 December and give local residents just over two weeks’ notice. Lock the Gate spokesperson Georgina Woods said Mr Roberts’ decision had fatally compromised the Commission's consideration of the controversial mine. “This is an absurd case of putting the cart before the horse and damages community trust in the planning process,” she said. “The Planning Minister has impinged on the IPC’s independence and added unnecessary stress to people’s lives when they should be winding down for Christmas after a tough year fighting the drought and this damaging new coal mine expansion. “There is so much at stake here. If allowed to proceed, the mine expansion will have an irreversible impact on the historical property “Kurrumbede” – which inspired Dorothea MacKellar’s iconic poem “My Country”. “Although they are not currently planning to bulldoze the homestead, it is at risk from damage due to mine blasting and air quality deterioration. “A cottage on the property was also home to Australian freestyle champion Boy Charlton, who would swim in the nearby Namoi River during his time working as a jackaroo on the farm. “The company planning the mine expansion, Whitehaven Coal, wants to build a rail line across the river near where Charlton swam, and have completely omitted the historical significance of Boy Charlton’s time at the property from its Environmental Impact Statement. NB: Hearing is now on December 18th. Because we know some people find public speaking trying, and there will be others who cannot attend on the day, we will accept written submissions until the 11th January 2019. Written submissions are weighed the same as spoken presentations. This public hearing will be recorded, and a written transcript published on our website. Speakers should familiarise themselves with the Commission’s‘Public Hearing Guidelines’ prior to presenting to the Panel. On 16 November 2018 the NSW Minister for the Environment and NSW Minister for Lands and Forestry updated the rules for how forestry operations must be carried out on State forests and other Crown-timber lands in coastal NSW. The new Coastal IFOA improves the practicality and effectiveness of regulating native forestry. It provides greater enforceability and certainty of environmental outcomes, including protection of habitat and listed species, while reducing the regulatory burden on the forestry industry. Further information about the new Coastal IFOA can be viewed here. From 15 May to 13 July 2018, the NSW Government undertook public consultation on the draft Coastal IFOA, including convening a series of regional workshops with peak stakeholder groups and inviting written submissions. 3,148 written submissions responding to the draft Coastal IFOA were received via post, email and the NSW Government’s ‘Have Your Say’ web portal. The EPA led the review and analysis of submissions and engaged an independent consultant to prepare a report summarising feedback received. The Consultation Summary Report integrates information received at the workshops and in written submissions. The published submissions and further information about the development of the Coastal IFOA can be viewed here. The NSW Government carefully considered all feedback received and made changes to the Coastal IFOA to improve its clarity and operability. Other substantive changes increased protections for certain headwater streams, nectar trees and winter-flowing eucalypts, and hollow-bearing trees. Further changes relate to the management of biosecurity risks (pathogens and weeds), the management of ground protection zones, burning provisions and fire management, and the management of debris and damage to retained trees. A summary of the NSW Government response to key feedback received on the draft Coastal IFOA can be found here. The Coastal IFOA can be viewed here. The commencement of the Coastal IFOA, and other reforms, are key components of the NSW Government’s forestry reform agenda and fulfil commitments outlined in the 2016 NSW Forestry Industry Roadmap. The Coastal IFOA delivers on the NSW Government’s undertaking to not erode environmental values or have a net change to wood supply and it will be further supported by work undertaken by the Natural Resources Commission (NRC) to reassess old growth on State forest. Further information about the NRCs work can be viewed at www.nrc.nsw.gov.au/ifoa. Forestry industry submissions raised concerns that the conditions and protocols in the draft IFOA would have a detrimental impact on timber supply. They felt that there was an imbalance in protecting environmental values over and above sustaining the forestry industry. Industry stakeholders also expressed significant concern that a rigid application of threatened fauna species protections would place too many restrictions on harvest yields. Industry submissions noted that currently mapped sensitive environmental zones are likely to be inaccurate and include forests that could be used for timber harvesting. The need for flexibility in enforcing the IFOA provisions was raised by industry in relation to operational matters such as the management of debris around retained trees. They also commonly raised operational boundary mapping, GPS error and the transferral of operational risks associated with forestry operations from FCNSW to contractors as key issues. This was seen as particularly important due to enforceability of the draft IFOA provisions, and the increase in Penalty Infringement Notice (PIN) amounts up to $15,000 for errors in maintaining exclusion zones. Campaign submissions by forestry industry employees and family and friends of forestry industry employees highlighted the importance of maintaining a sustainable industry for regional employment and for providing timber to the Australian market. Their submissions contended that the forestry industry maintains the social and economic fabric of rural and regional towns and employs up to 22,000 people in NSW. 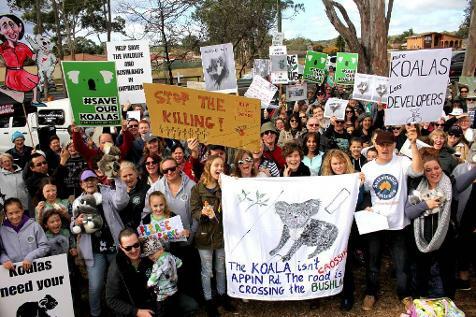 Environmental stakeholders predominantly raised issues with respect to reduction of habitat protections for key species such as koalas, gliders, the Regent Honeyeater and the Swift Parrot. » Potential increased harvesting of environmentally sensitive forests due to proposed remapping/ rezoning of high conservation protection zones. There were significant concerns that new mapping would reduce old growth forest by 78% and rainforest by 23%. » Loss of giant and hollow-bearing trees due to harvesting prescriptions. » Impact of doubling the intensity of forestry operations [by 50%] in the ‘selective harvesting zone’ on habitat complexity and connectivity, as well as lack of adequate monitoring and mitigation measures. The EDO NSW was the only peak environmental group to participate in the draft IFOA briefing sessions. Other peak environmental groups declined to attend and queried the authenticity of the consultation process. The EDO NSW conveyed the concerns about the lack of genuine consultation with broader community groups, including environmental organisations on the development of the draft IFOA. EDO NSW expressed the view that community groups have been excluded from meaningful discussions and their only opportunity for input is to comment on decisions that have already been made. Even then, there was the feeling that there is little evidence of the Government responding or changing proposals based on feedback received during consultation processes. The perception among the environmental stakeholders is that the forestry agenda is being driven primarily by industry. It was noted that this appeared different to how the original IFOA was developed 20 years ago when there was widespread consultation with environment groups in developing the documents. As part of the draft IFOA, the NSW Government has incorporated the NRC proposal to undertake remapping of old growth forest with new technology to identify if it can be reclassified to support additional timber harvesting. If there is to be a remapping process, the EDO believes there should be input from environmental stakeholders into developing and reviewing the maps. There is significant cynicism among environmental stakeholders about the remapping process, with the view that it will lead to the harvesting of old growth forests and rainforests. Prior to the remapping process, the EDO believes that there should be a conversation about the potential areas that could become available for the forestry industry to obtain additional timber, and whether industry will receive wood supply from elsewhere, if the remapping process determines that areas of old growth forests are more extensive than currently mapped.It was EDO NSW preference that this discussion is had now. The EDO commented that the environmental groups they work with are of the view that native forestry practices are unsustainable and there should be a greater focus on plantation timber to supply market needs. Other issues raised by the EDO were the need to have all current and future koala protection initiatives fully accommodated within the new Coastal IFOA. In noting this it was emphasised that species protections were a much broader matter than the IFOA and requires additional consideration by the NSW Government. Lock the Gate Alliance has welcomed the NSW Shooters, Fishers and Farmers Party's statement that it supports a ban on coal seam gas “anywhere water supply could be threatened” and the party’s promise to support the state opposition’s Coal Seam and Other Unconventional Gas Moratorium Bill 2015 if it is brought forward in parliamentary business tomorrow, the last sitting day before the NSW state election next year. The ALP’s Bill was introduced three years ago, and Thursday is the last opportunity for private members’ bills to be voted on in parliament. The Shooters, Fishers and Farmers’ Party has today issued a statement declaring its MLCs would vote for the Bill tomorrow if the opportunity arose. Lock the Gate Alliance National Coordinator Phil Laird said: “There is growing political consensus that the Great Artesian Basin recharge should be made off-limits to coal seam gas. “Today’s commitment from the Shooters, Fishers and Farmers puts the ball firmly in the National Party’s court as the only party in North West NSW with a pro-CSG position. “We’re calling on the National Party to listen to their constituents in north-west NSW and act now to stop the Narrabri gas project. “Coal seam gas is a huge and unresolved issue in rural NSW and the community expects action to ensure the Great Artesian Basin is protected from risky gas projects. Reachtel polling conducted on 17th October has revealed more than two thirds of respondents in key Queensland regional electorates support action on the Adani mine in order to protect water resources. The survey showed that in Herbert, Dawson and Capricornia in north Queensland, 70%, 65% and 73% of respondents agreed that ‘Research recommended by Federal Government scientists should be completed before Adani are allowed to commence work on their mine’. Results also showed the majority of those surveyed supported a Federal Government review into Adani’s environmental approvals and the cancellation of the mining giant’s water licences by the Queensland Government to safeguard water for Central Queensland farmers. Support for these measures spanned the political spectrum, with notable support amongst minor party voters including One Nation and Katter Australia Party voters, as well as Labor and the Greens. Central Queensland grazier Bruce Currie said “It’s clear from these surveys that the production of healthy food and the provision of clean water are still the biggest priority for central and north Queenslanders. “We don’t accept a mining project that puts our future at risk, and we will not support a government who’s prepared to jeopardise our water for no good reason. “These poll results send a message to politicians, no matter who they are, that we expect them to protect our water. “For the Federal Labor party, who have been ambivalent about the Adani project, it’s time to support regional Queenslanders and step up against the project on water grounds” he said. 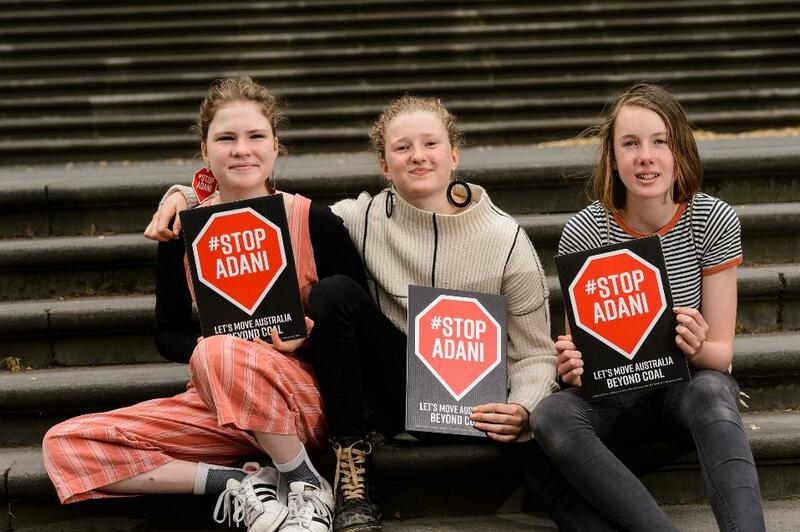 Carmel Flint, National Coordinator with Lock the Gate Alliance said “Adani have been spruiking that they are nearing financial close for the project, but they are still lacking a very crucial water management plan - the Groundwater Dependent Ecosystem Management Plan. “The community clearly has major concerns about the impact of the Adani project on water resources and they want to see more research conducted. “In light of this poll, we’re calling on the Queensland Government to refuse the water management plan and ensure additional research that is needed is conducted as a matter of urgency” she said. During the American Physical Society's Division of Fluid Dynamics 71st Annual Meeting, which took place Nov. 18-20 at the Georgia World Congress Center in Atlanta, Georgia, Yang and her co-authors, Scott Carver, David Hu and undergraduate student Miles Chan, will explained their findings from dissecting the alimentary systems, or digestive tracts, of wombats. Near the end of the intestine, they found that faeces changed from liquid-like states to solid states made up of small, separated cubes. The group concluded that the varying elastic properties of wombats' intestinal walls allowed for the cube formation. In the built world, cubic structures -- sugar cubes, sculptures, and architectural features -- are common, and produced by injection moulding or extrusion. Cubes, however, are rare in the natural world. Currently, wombats are the only known species capable of producing cubes organically. "We currently have only two methods to manufacture cubes: We mould it, or we cut it. Now we have this third method," Yang said. "It would be a cool method to apply to the manufacturing process -- how to make a cube with soft tissue instead of just moulding it." So, why do wombats poop cubes? Wombats pile their faeces to mark their home ranges and communicate with one anotherthrough scent. They pile their faeces in prominent places (e.g., next to burrows, or on logs, rocks and small raises) because they have poor eye sight. The higher and more prominently placed the pile of faeces, the more visually distinctive it is to attract other wombats to smell and engage in communication. Therefore, it is important that their droppings do not roll away, and cube-shaped poop solves this problem. Yang hopes that the group's research on wombats will contribute to current understandings of soft tissue transportation, or how the gut moves. She also emphasised that the group's research involved mechanical engineering and biology, and their findings are valuable to both fields. "We can learn from wombats and hopefully apply this novel method to our manufacturing process," Yang said. "We can understand how to move this stuff in a very efficient way." Carver added, "There is much general interest from the public, both in Australia and internationally, about how and why wombats create cube-shaped faeces. Many ideas, some more entertaining than others, have been put forward to explain this, but until this study nobody had ever investigated the cause. This has been a fantastic collaboration which shows the value of interdisciplinary research for making new scientific discoveries." Materials provided by American Physical Society. Common Wombat (Vombatus ursinus tasmaniensis) on Maria Island, Tasmania, Australia. The entire island is a national park, Maria Island National Park. The adult is just under a metre in length on average. Eleven of the northern beaches' finest young surfers will battle it out for an Australian Title when the Surf Dive n' Ski Australian Junior Titles kicks off from 1 - 8 December 2018 on Fleurieu Peninsula, South Australia. 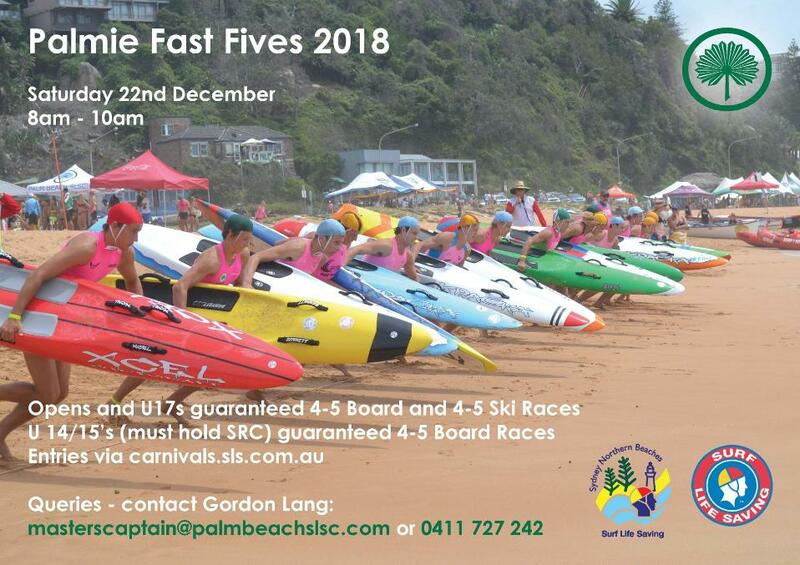 Van Whiteman (Avalon), Ethan Jackson (Seaforth), Xavier Bryce (Mona Vale), Jamie Thomson (Narrabeen), Jack Bannister (Narrabeen), Tru Starling (Narrabeen), Kyla Whitfield (Narrabeen), Bohdi and Cedar Leigh-Jones (Whale Beach), Gabi Spake (Collaroy), Lily MacDonald (Freshwater) will represent Sydney's northern beaches region when the event gets underway. NB: Pittwater Online News is not encouraging any student to not attend school on November 30th. We are a News Service and our job is to bring you your news. Although there are circumstances where exemptions from school attendance is granted, this isn't listed among them. This Channel-billed Cuckoo (Scythrops novaehollandiae) was filmed in early November 2018 in a leafy suburb of Sydney, NSW. Hunters Hill is only 10km from the CBD but is fringed with bushland and rivers. Here these giant parasitic cuckoos can readily find nests of their favoured host species (e.g. Pied Currawong and Australian Magpie). We have been noting Channel-billed Cuckoos at this site every spring/summer across six years. So far we have only seen Pied Currawongs targeted directly, but that could be partly due to the usual presence of their nests. While we also see Australian Magpies in the area, we haven’t yet found an observable nest. We have read that the cuckoos may choose members of the crow/raven family as hosts, but the resident Australian Ravens at this location appear to be relatively unbothered. Sometimes they contribute to hassling/driving out these cuckoos from the immediate area, and sometimes they let the currawongs do all the work. It’s possible that the cuckoos are less focussed on a more troublesome foe when an easier option beckons. Knowing the particular pair of ravens, we suspect brain power is more of a factor than brawn. (To be fair to the currawongs, Channel-billed Cuckoo eggs mimic the colouration of their own, but not raven eggs.) Although Australian Ravens are larger than Pied Currawongs and Australian Magpies, even they are outsized by these impressive birds. In any case, year after year we see the familiar pair of ravens take care of 1-4 raven fledglings. By contrast, we have seen several “failures” for Pied Currawongs (either Channel-billed Cuckoo chicks raised or nests abandoned entirely). Until this week, we had noted just one currawong chick fledging successfully at the Hunters Hill site over six years. But this season has been a good one – two juvenile currawongs were seen a couple of days ago at the time of writing. (Nest location unknown but an unused one is now found.) This year we noticed that the gap between the currawongs displaying nesting behaviour (e.g. collecting nest material and taking food somewhere) and the spring arrival of these migratory cuckoos was longer than usual. Hence it’s possible that the pair had sufficient time to raise their brood without major problems. But when the cuckoos were “back in town” the currawongs made exhaustive attempts to move them on (with ravens occasionally in the mix). Indeed, it’s quite likely that their chicks hadn’t reached fledging age and were still vulnerable. Subsequently we filmed juvenile cuckoos who had been raised by currawongs – see https://youtu.be/uF5t-JnQ5AM ) But even two months later, this cuckoo species still creates a kerfuffle when they appear at the filming site or other sites within earshot. Perhaps the reaction of potential hosts is instinctive, but it also makes sense if forward thinking is involved. It’s also possible that some birds have another nest to protect, especially if an earlier one was damaged and/or abandoned due to cuckoo activity. Although the camera is trained on just the one cuckoo in this video, another was present in the large peach tree. The fruit is still small and green (that which is left after cockatoos and possums take a bite), yet might attract a bird who primarily eats fruit (especially native figs). You can see likely fruit juice stains on that massive bill. The other thing we noticed recently was an unused nest nearby that could have been built by currawongs. In the days before filming one cuckoo was observed looking into that nest. Certainly there’s no activity of any sort there now. But maybe we had a male/female pair of cuckoos watching that nest (again) from the peach tree? While the introductory photos include their very loud and distinct call, if you listen closely to the video you might hear cooing of sorts (which suggests pair communication). You can also hear other birds in the area, such as Australian Raven, Rainbow Lorikeet, Noisy Miner, Sulphur-crested Cockatoo and Eastern Whipbird. Eventually Pied Currawongs notice the pair and fly close with calling and bill-snapping in an attempt to dislodge the cuckoos from their territory. "These mounds were formed by a single termite species that excavated a massive network of tunnels to allow them to access dead leaves to eat safely and directly from the forest floor," says Stephen Martin of the University of Salford in the UK. "The amount of soil excavated is over 10 cubic kilometres, equivalent to 4,000 great pyramids of Giza, and represents one of the biggest structures built by a single insect species." Soil samples collected from the centres of 11 mounds and dated indicated that the mounds were filled 690 to 3,820 years ago. That makes them about as old as the world's oldest known termite mounds in Africa. The researchers investigated whether the strangely regular spatial pattern of the mounds was driven by competition amongst termites in neighbouring mounds. Their behavioural tests found little aggression at the mound level. That's compared to obvious aggression amongst termites collected at greater distances from one another. The findings lead the researchers to suggest that the over-dispersed spatial mound pattern isn't generated by aggressive interactions. Instead, Martin and his colleagues propose that the mound pattern arose through self-organisational processes facilitated by the increased connectivity of the tunnel network and driven by episodic leaf-fall in the dry forest. They say that a pheromone map might allow the termites to minimise their travel time from any location in the colony to the nearest waste mound. The vast tunnel network apparently allows safe access to a sporadic food supply, similar to what's been seen in naked mole-rats, which also live in arid regions and construct very extensive burrow networks to obtain food, the researchers report. It's safe to slap on the sunscreen this summer -- in repeated doses -- despite what you have read about the potential toxicity of sunscreens. The research, published this week in the Journal of Investigative Dermatology, refutes widespread claims among some public advocacy groups -- and a growing belief among consumers -- about the safety of nanoparticulate-based sunscreens. "Using superior imaging methods, we established that the nanoparticles remained within the superficial layers of the skin and did not cause any cellular damage," Professor Roberts says. In 1988, UNSW became the first Australian university to offer sports scholarships. Thirty years on, the scholarships are shaping the lives of a new generation of student athletes. It’s been 30 years since the first Ben Lexcen scholarships were awarded to six students, who each received $1000 to put towards balancing study and their elite sporting careers. In celebration of this milestone, current and former Ben Lexcen scholars came together with donors and staff to celebrate at the Hilton Sydney on Wednesday evening. Notable former scholars shared their stories with the crowd, detailing what the scholarship had meant for their sporting and academic lives. “It’s not always easy trying to convince academics of your sporting requirements,” said former Olympic skier Scott Kneller. Kneller, who received a Ben Lexcen scholarship in 2009 while studying Commerce and Engineering, said the non-financial support of the scholarship was just as valuable to the elite athletes as the annual grant they received. “I had to convince [my lecturers and tutors] that I wasn’t looking for the easy way out,” he said. “Sport was a big part of my life and I was trying to fit in university around that. “I was trying to ask for assistance, and it wasn’t always perceived that way. Dr Melanie Webb, a Ben Lexcen scholar in 1989, had to take two years off from studying Medicine to pursue her world championship dream as a windsurfer. When she returned to UNSW, the scholarships had just been implemented and she was able to take one up in the second year after her return. “It was lovely to be acknowledged and supported financially by people who appreciated just how tough it was for a student competing at an international level,” Dr Webb said. “For a uni student on a shoestring budget, it meant the world to me. “The money brought me time to study and to train and compete – that was the beauty of it. The 15 current Ben Lexcen scholars were also recognised at the event, coming from a diverse range of sports including cricket, skiing, athletics, water polo and swimming. Kneller emphasised to the current students that the transition to life after sport wasn’t an easy one, but by taking the opportunity to balance study with their sport, they were setting themselves up in the best way possible. “It’s a big thank you from me to the founders, to current and past supporters of the Ben Lexcen scholarship, for helping me achieve my sporting goals, my academic goals, but also facilitating that transition and really giving me the basis and the groundwork in pursuing my education to set me up for life after sport,” he said. The Ben Lexcen scholarships were named after the key designer of the Australia II yacht that won the America’s Cup in 1983. Lexcen designed the winged keel that is recognised as having changed the game. Since its launch in 1988, following the death of Lexcen, the scholarship has had many famous names etched in its history. From Australian cricket legend Alex Blackwell to Olympic and Commonwealth Games medallist Jane Saville, the scholarship has a star-studded history, and from the incredible achievements the current crop of students has already notched up, it seems it is destined to produce many more stars in its future. The original group of six Ben Lexcen scholars from the launch of the scholarship program in 1988. Photo: UNSW Archives. Dr Vicky Sheppeard, NSW Health’s Director of Communicable Diseases, said that in October 2018, almost 800 people in NSW were notified with whooping cough (pertussis), the highest number since October 2016. “Whooping cough is challenging to control at the community level, as it is a highly infectious disease and immunity against whooping cough wanes over time, regardless of whether that immunity is from having the disease or as a result of vaccination,” said Dr Sheppeard. On-time vaccination of infants is important, with the first dose due at six weeks, followed by doses at four months and six months of age. Boosters are due at 18 months, four years and in the first year of high school. It is pleasing to see that in the most recent annual report 94.8 per cent of NSW infants had received their full whooping cough course in 2017. “People in close contact with newborn infants such as grandparents, partners and close family members should ensure that they have had a whooping cough vaccine in the previous 10 years. Those that need to get vaccinated should do so at least two weeks before any infant contact,” said Dr Sheppeard. Protecting children from potentially deadly diseases is a key priority for the NSW Government, which is investing $22.75 million in immunisation programs this year. Since 2013, NSW Health has committed $6.5 million to the Save the Date to Vaccinate campaign to provide parents with key messages about the importance of timely vaccination. 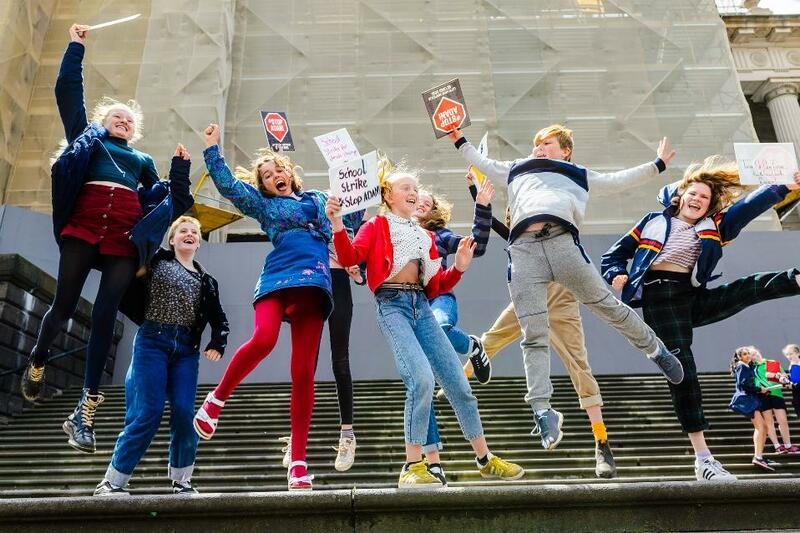 Close to $1 million of this funding is being spent on the 2018 campaign, including an update of the popular ‘Save the Date to Vaccinate’ app. During this period the percent of children fully vaccinated against all diseases at one year of age has increased from 90 per cent to 93.9 percent. Amendments to the Public Health Act 2010 were passed in Parliament in September 2017. From 1 January, 2018 children who are unvaccinated due to their parent’s conscientious objection are no longer be able to be enrolled in child care, and principals should collect vaccination certificates for all children enrolling in primary or secondary school. Under the Public Health Act, directors of child care centres and principals of primary and secondary schools should notify the local public health unit about cases of whooping cough to enable early public health control measures. Prevent spread: Minimise the spread of whooping cough or other infectious conditions by practicing good personal hygiene – staying away from child care, school and work when sick; covering mouth and nose with a tissue when coughing and sneezing, and regular hand washing can help reduce spread of whooping cough. Research released by the Australian Institute of Health Innovation, Macquarie University, and the Graduate School of Health, UTS, shows that almost half of people with disability living in residential care were exposed to risk of death or died related to failures in information sharing and communication. The study, funded by the National Health and Medical Research Council, showed that information that could affect the quality of care for people with disability was being overlooked, ignored, or was not accessible to care providers. People with severe or profound disability living in supported accommodation or long-term care facilities often acquire a large quantity of documentation critical to their safety and care. They often have complex needs and see many different health and disability service providers including the residential facility, GPs, hospitals and allied health professionals. All these providers produce a variety of documents, but these are rarely collated or linked in a way that helps the person, their carers, families, or providers. Documentation includes medical histories, medication information, safe mealtime plans, behavioural plans, incident reports, speech pathology or physiotherapy recommendations and family contact details. For instance, this research found that some people who died of aspiration pneumonia (a condition caused by inhaling food, stomach acid or saliva into lungs), had safe foods recommended for them by a speech pathologist and written into a mealtime plan, but this was not adopted by the disability service provider. The study also found that a person could have an accident such as a choking, but no incident report was made which would have alerted staff to act to prevent further choking. “This gap between what is known to be the best care and what is actually delivered endangers the lives of people with disability,” Dr Dahm said. Dr Dahm also points to a need for better education of the workforce in residential and long-term care and health services. One of the barriers to good communication of safety and care information was that direct support workers had little or no experience of healthcare and did not understand the importance of the information in the client’s records. Conversely, a speech pathologist in the community may recommend certain foods for a resident with disability, and strategies are successfully implemented by care workers at home. However, when the person enters hospital, staff may not locate, read or follow the recommendation from the home and then provide unsuitable food or fail to provide adequate meal-time assistance, leading to choking, aspiration pneumonia and preventable death in hospital. These findings trigger a call for better education of workers in residential care facilities and healthcare about the needs of people with disability. This research published in the Journal of Patient Safety is an analysis of 99 case studies extracted from eight NSW Ombudsmen reports of reviewable deaths between 2005 and 2015. Volunteering in Cambodia, relearning how to ride a motorbike at the brink of retirement, and stories of war veterans’ relatives connecting decades after World War I, are just a handful of the 100 stories revealed in Seniors’ Stories Volume 4. Minister for Ageing Tanya Davies today launched the fourth instalment of the much loved publication while celebrating with its authors at an event at NSW Parliament. Pippa Kay from Hunters Hill was one of the authors to contribute to the book, scripting a light-hearted tale about her experience of joining the gym. “I am passionate about writing and am thrilled that the Seniors’ Stories book provided an opportunity for me and other seniors to share our stories,” Pippa said. “This book shows that age is no barrier and I would encourage all seniors to pick up a pen and share their stories with others and loved ones. ”Mrs Davies said the chapters of the book correlate with the five priorities of the NSW Government’s Ageing Strategy 2016-2020: health and wellbeing, working and retiring, housing choices, getting around and inclusive communities. “I would urge everyone across the State to read a copy of the book which will delight and inspire you,” Mrs Davies added. The cover of Seniors’ Stories Volume 4 features this year’s winner of the NSW Grandparents Day Photography Competition. A copy can be found at all local libraries across NSW from December or downloaded from www.seniorscard.nsw.gov.au.